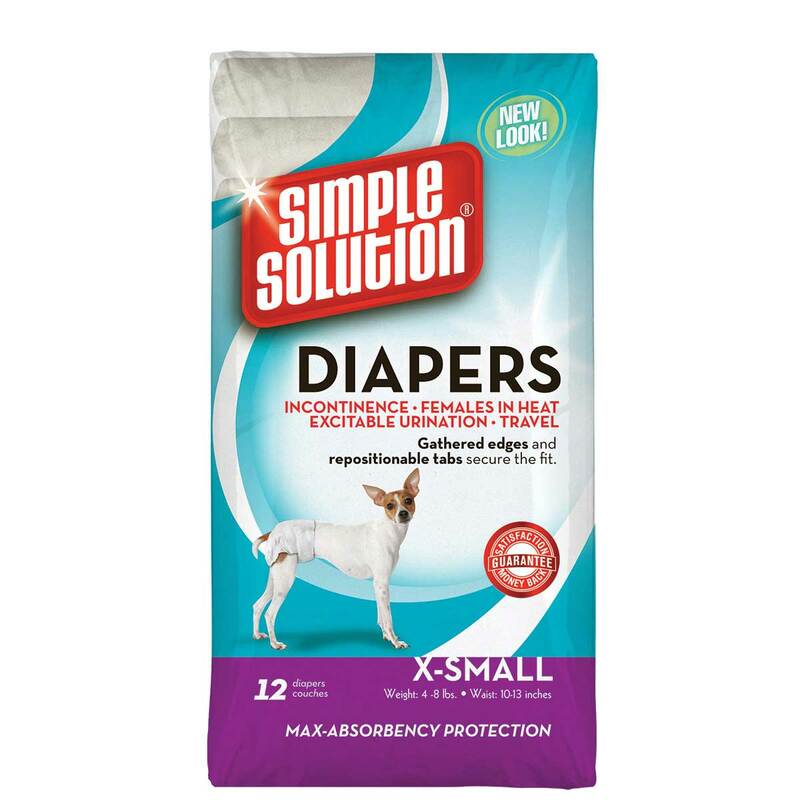 Eliminate messes from incontinence, females in season, excitable urination, and untrained puppies. Repositionable Velcro tabs don't stick to fur. A customized tail hole ensures ultimate comfort. X-small, Dogs 4-8 lbs, waist 10-13"